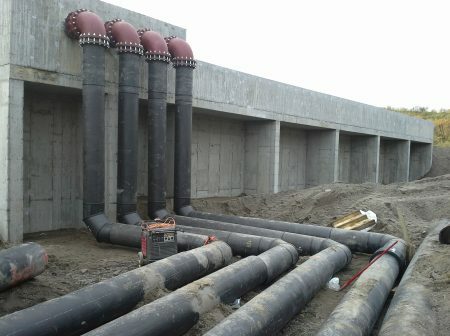 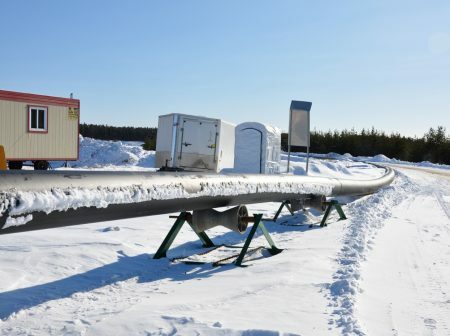 The project involved the fusion of 18” and 22” HDPE pipes for red water treatment at the Port de Québec. 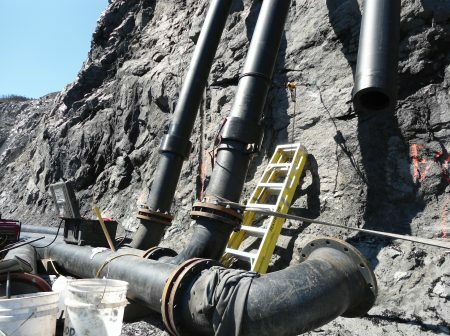 The project involved the fusion of 12″ HDPE DR7 pipes (2.5km), in horizontal and vertical position, to extract water from a surface mine. 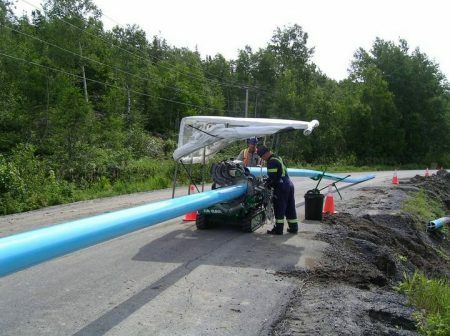 The project involved the installation of 20 km of HDPE pipe (20″ to 30″).